If you don't catch Jurassic World in theaters, don't worry, you can catch the ad-riddled version of it on FX. 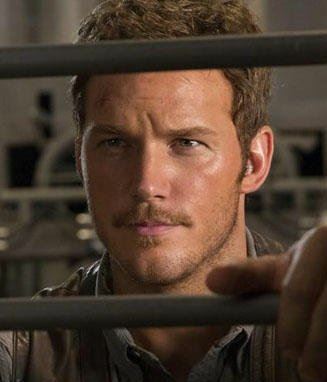 FX has already nabbed the TV rights to broadcast Jurassic World. This means that sooner or later, as in, within a few years, the movie will show up on the network. But classically speaking, FX puts a serious amount of LOUD TV ads in their movies. So if the movie was two hours long, it will probably end up being a three-hour telecast! Most of the time there is roughly 20 minutes of ads per hour of television. OK, 21 minutes. Though I haven't timed it, I swear, sometimes it feels like it is the other way around on FX. You might get five minutes of movie, 10 minutes of ads, then repeat. I swear, they can make an entire day's event out of airing one of the Hobbit movies!!! To date, FX has also recently nabbed the TV airing rights to Furious 7, Pitch Perfect 2, Taken 3, and Kingsman: The Secret Service. To be honest, that's a huge chunk of money to put down for the movies considering. Did you know that: There are a ton of other variables that go into the purchasing of TV rights to a movie, but on a generic outline.a network could potentially pay up to 12% of a movie's domestic box office gross for the rights to air a movie. The basic networks used to nab the TV rights, but they've been more focused on the uber profitable world of sporting events and the like, leaving the cable networks to fight for movie rights. And if you look at it that way, it is better if they nab the rights immediately, rather than let the film stew around in theaters, building up an even larger domestic slush fund at the box office!